If your child has big dreams of following in the footsteps – or should we say fin-steps? – of Ariel from the classic Disney movie The Little Mermaid, then you’ll want to take note. It’s time for some splashing good fun with the Mermaid Academy at Holiday Inn Resort Fort Walton Beach. This thrilling mermaid adventure is held every Saturday morning from now through August from 8 to 9:30 a.m.
Young swimmers ages 4 to 12 are welcome to join the fun as their lead mermaid teaches them the tricks of life in the water. Each mermaid in training will receive a tail and learn how to swim, talk, and do various mermaid tricks. At the end of the session, each trainee will receive a framed Mermaid Academy certificate to commemorate and celebrate their orientation into this elite secret society of merpeople. 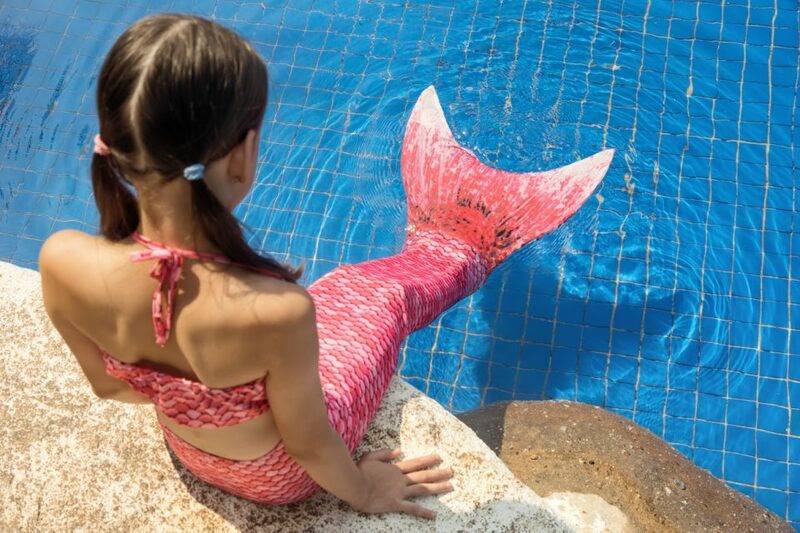 You can sign your child up for their Mermaid School class when you check in to the hotel or by calling the Holiday Inn Resort’s front desk at (850) 301-9000. Spaces fill up quickly and are available on a first come, first served basis, so those in the know about Mermaid Academy recommend that you book early. The class is $30 per child. Mermaid Academy takes place at the Holiday Inn Resort Fort Walton Beach, located at 1299 Miracle Strip Parkway, Fort Walton Beach, FL. Even mermaids can use a good set of wheels when they need a break from swimming. If you’re in the market for a new or used vehicle, you’re in the right place. Lee Nissan Fort Walton Beach is located right in the heart of town and is fully stocked with all the new Nissan models you love. We also have fantastic inventory of high-quality pre-owned vehicles from a variety of other automotive brands. The best part of all? Our new and used cars, trucks, vans, and SUVs are all priced to sell quickly – and you can save even more when you take advantage of our amazing special offers and incentives. Lee Nissan Fort Walton Beach has a team of friendly and helpful automotive experts who don’t just want to sell you a car, but to sell you the right car for the right price. If you need more convincing, explore our inventory online, check out our currently running special offers, and then head to our easy-to-reach location for some thrilling test drives and a remarkable offer.